What are they? What can Essential Oils & Aroma Care do? How do I use them? Essential oils are often called the life force or immune system of plants, and trees. 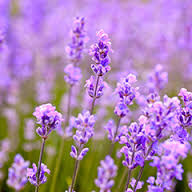 They are the fragrant, highly concentrated natural constituents that are found in plants. They are what give the plant its characteristic odor and contain the healing power of the plant from which it was extracted. 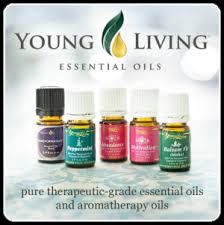 Essential oils have been used for thousands of years for cosmetic and health purposes, as well as for their spiritually and emotionally uplifting properties. Young Living has always been at the forefront of bringing this ancient tradition to modern users, introducing millions to a total mind/body wellness they may never have dreamed possible. Each essential oil has different constituents, action, and physical, mental, emotional, spiritual benefits. And each essential oil’s complex, pleasant, and unique scent activates the limbic system—the brain’s center of emotion and memory—differently. 1)Topically - on the skin. 2) Aromatically - Smelling them or diffusing them in a cold air diffuser in the home. Lavender essential oil – Help calm kids and adults for an easier bedtime routine! Supports healthy skin, after sun soother, support normal healing of bumps & bruises. Thieves essential oil blend – Help support strong immunity in both kids and adults when you start to feel sick, minor aches associated with everyday life, diffuse to purify the air, clean any surface in my home. It’s amazing for bathrooms! Peppermint essential oil – Minor aches associated with everyday life. Supports normal digestion. Supports normal weight loss. Purification essential oil blend– Diffuse to purify the air. Helps support normal nasal and sinus function during Spring and Fall. Make easy homemade DIY outdoor spray to use while camping or outside during the summer that is non-toxic and free of chemicals. Add several d5 ml rops to a wet cloth and put in the dryer to freshen laundry. PanAway essential oil blend — This is your go-to oil for any aches related to everyday life. Simply dilute with carrier oil and put it directly on the source. Stress Away essential oil blend – Diffuse to promote a calm and relaxing mood in your home. Unwind and de-stress naturally at the end of the day. Great to use for stress and calming. Copiaba – Copaiba Oil is a wonderful essential oil that has traditionally been used to support the body's natural response to irritation and support healthy digestion. DiGize – Great for after meals. It supports healthy digestion. 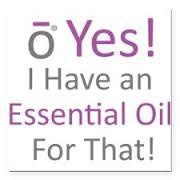 RC - There are nine different essential oils in RC Blend. Supports normal Immune system, supports healthy lung function and respiratory system. Uplifting and energizing. RC essential oil supports the solar plexus and heart chakras. Frankincense - Includes the naturally occurring constituent boswellic acid, and has a woodsy, warm, balsamic aroma. Diffuse Frankincense during meditation or prayer for grounding and purpose. Diluting and applying this oil topically may help smooth the appearance of healthy-looking skin, and is excellent to use for massage after activity. Lemon - Stained clothes? Rub oil over stain then immediately put item in washing machine. Works great also in diffuser for fresh scent in home. Also, a natural "goo" gone on sticker labels. All information on Your Holistic Health Care is meant for educational and informational purposes only. The statements on this website have not been evaluated by the Food and Drug Administration. Products and/or information are not intended to diagnose, cure, treat, or prevent any disease. Readers are advised to do their own research and make decisions in partnership with their health care provider. If you are pregnant, nursing, have a medical condition or are taking any medication, please consult your physician.